ST. GEORGE’S GRENADA, Tuesday, December 6th, 2016: : The Government of Grenada formally signed the Inter- Governmental Agreement under the Foreign Account Tax Compliance Act (FATCA) with the United States (US), on Tuesday, November 29th, 2016. The US Government enacted FATCA, on March 18th 2010, to combat tax evasion by specified US persons holding investments in accounts outside of the US, specifically as it relates to US-sourced income. FATCA requires Foreign Financial Institutions (FFIs) to report to the US Internal Revenue Service (IRS), information on assets of US$50,000 or more held by US taxpayers, or by foreign entities in which US taxpayers hold substantial ownership interest. On June 16th, 2014 Grenada successfully completed the negotiation of a Model 1 Inter-Government Agreement to enable FATCA compliance. This model requires financial institutions to submit customer information to the Inland Revenue Department for onward submission to the IRS. 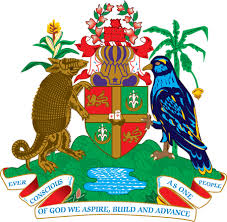 The Grenada Government intends to pass the “Foreign Account Tax Compliance (United States) Implementation and Enforcement Bill”, to provide for the legal submission of customer information for the purposes of FATCA. Failure of an FFI to submit information could result in a 30.0% withholding tax levied on specific income originating from sources in the US and may result in the potential loss of correspondent banking relationships. As such, Government is committed to ensuring that the required structures are in place to facilitate the requirements of FATCA while preventing the imposition of the withholding tax on the local financial institutions. During a signing ceremony on Tuesday, November 29th, 2016, Prime Minister Dr the Rt. Hon. Keith Mitchell signed on behalf of Grenada while US Charge De’affaires, Stephen Frahm signed on behalf of the US Government.